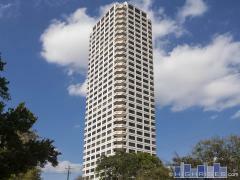 The Mondrian is a new boutique luxury high-rise situated in Houston's Museum District. There are only 20 condominiums in the building an every unit features an impress terrace with a gas fireplace, built in grill, wiring for television. Have any comments or questions about The Mondrian? Ask your question and/or share your thoughts about this Building.